Isn't that inspiring or what. 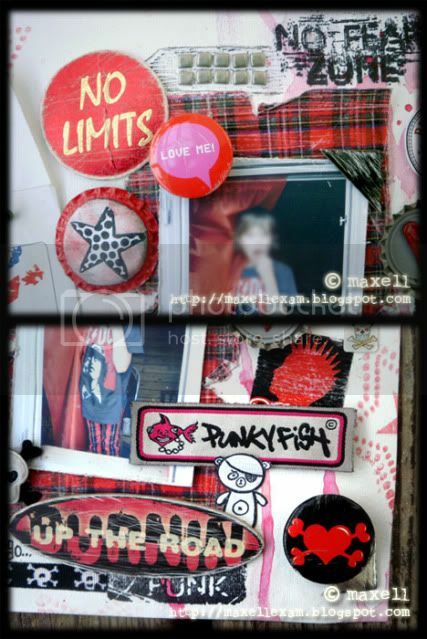 So many detalis and yes, it's punk rock! 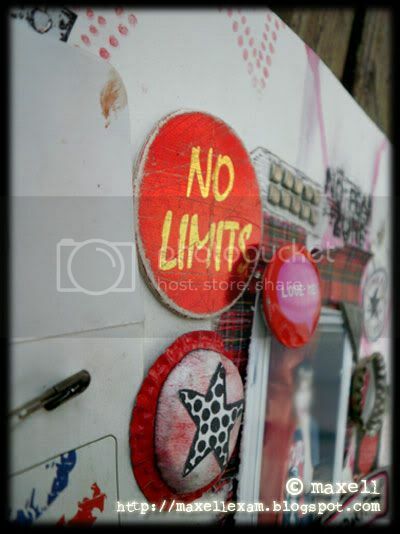 "Nat - use this picture to inspire you"
The title "hey ho, lets go" was given by the first inspiration picture. Actually that song is one of his favourites. 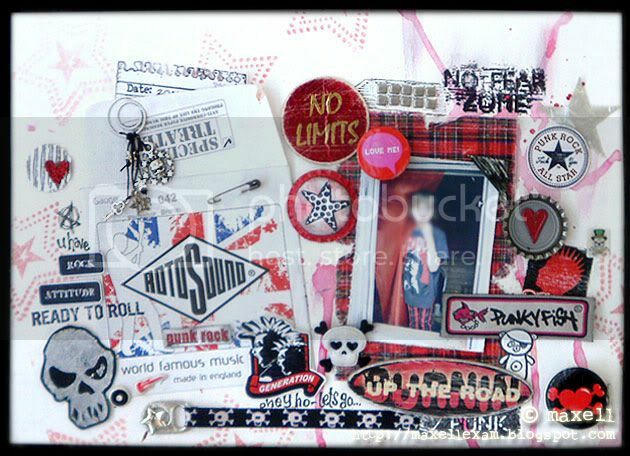 This layout contains lot of punk attributes of different kind. You can see for yourself. 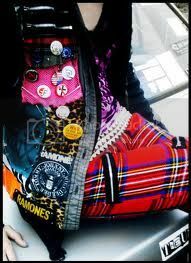 There are - for example - tartan, safety pins, other metal details, badges (real ones), more punk detals in both paper and fabric and - of course - the studs from the belt. Actually so much attitude that the layout contains real blood... on the pocket for hidden journaling... :P A pocket which ones contained guitar strings. This is beyond awesome!!! Holy cow!! 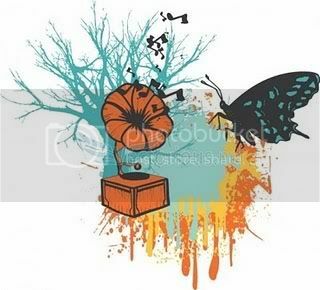 It totally rocks my socks right off!!!! Fabulous work to drool over. Are you kidding me?! This is flippin fantastic! 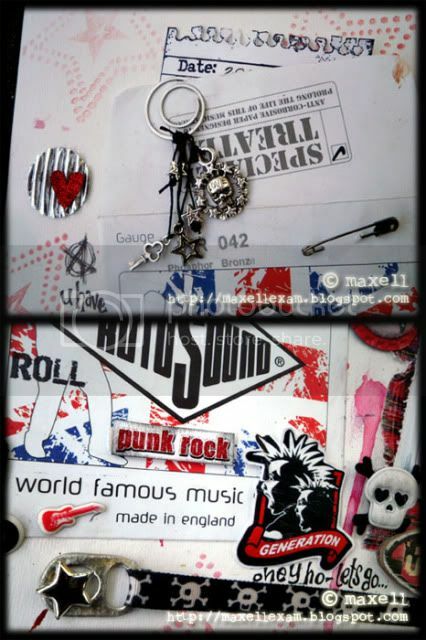 So many awesome punky details...I am speechless...I just love it!!! Hur läcker som helt! 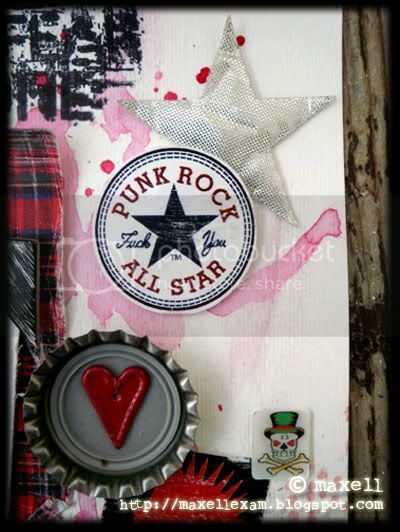 Känns som Punky Scraps är "right up your alley". Kul att du ville vara med och "leka". Ååååh så bra det blev!! :-D Underbara detaljer! Som klippt och skuren utmaning för dig ju! En liten man klär i metal(l) och rosa!